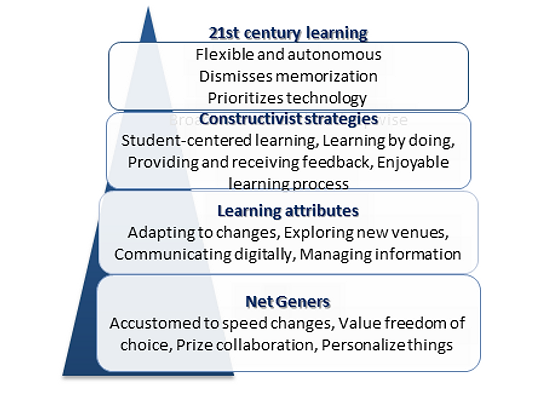 This line of research is set to develop and evaluate an innovative instructional framework entitled: cloud-pedagogy. The studies shed light on the learning mechanism in cloud-based environments with emphasis on flexible and adaptive thinking. Our studies are set to understand the mechanism of online collaborative scaffolding in large and small groups, self- and co-regulation in distance learning environments, co-construction of knowledge, and the promotion of and flexible thinking. Following the initiative of the President of the Technion and together with Prof. Haick Hossam (Faculty of Chemical Engineering), we designed a massive online open course (MOOC) in Nanotechnology and Nanosensors. This project is funded by Israeli Ministry of Science Technology and Aerospace. This was the first worldwide MOOC delivered in Arabic and in two languages simultaneously (Arabic and English). The study examines cultural and social aspects of learning in online large and small groups. and engineering education, with special interest in cloud-based learning and 21st century skills at the secondary and tertiary levels. Guided by the sociocultural and socio-cognitive theories, we examine Net Geners’ (Y- and Z-generation) learning attributes and cognitive development through constructivist strategies. Supported by the Technion’s President Foundation, this line of research centers on the development and evaluation of the first fully online mandatory distance learning course at the Technion, entitled: Ethics of Research. The course is for all graduate students in research track (including an online testing mechanism). The study examines managerial and pedagogical aspects of developing an online DL course. It also examines the effect of online ethics education on learners’ understanding of, awareness to, and self-reported ethical behavior. The development and assessment of a location-based system for user-generation multimedia and inquiry questions This line of research involves the development, implementa tion, and assessment of cloud-based applications for facilitating creative and collaborative location-based interactive learning objects (LILOs). Our recent development is an application named: AugmentedWorld (http://augmentedworld.site) that offers an innovative way for generating inquiry and multimedia questions. The application serves as a powerful tool for instructors and learners to create and solve authentic scientific problems, while sharing them with peers around the world. This project is funded by Israeli Ministry of Science Technology and Aerospace. This project was funded by the ATS. It involved the development of digital learning materials in science, technology and engineering for middle school students in the US. The project followed the guidelines of the US next generation science standards (NGSS). It is based on inquiry learning with many exciting laboratory experiments, demonstrations, and outdoor experience. 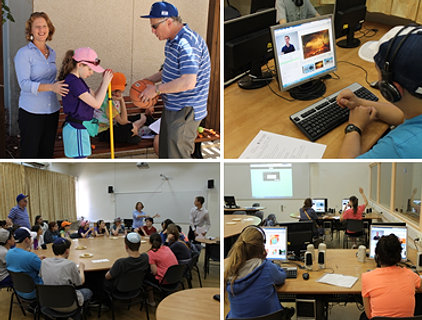 The learning materials comprise of real-world scientifically-based case-studies, with examples from the Israeli academia, industry, geography, and special events. The project includes digital learning units, lecture videos, PPT slides, hands-on experiment and a manual for teachers; all wrapped together in a special interactive online learning management system. This line of research focuses on the design and implementation of an innovative methodology for qualitative and quantitative analysis of drawings. The RDA framework provides a ridged valid and reliable method for data collection, analysis, and interpretation of drawings. RDA uses drawings to uncover thought and ideas. This analysis method was successfully implemented in recent studies that examined perceptions about and the roles of information and communication technologies in science and engineering learning. Findings were published in the Journal of Science Education and Technology and in an edited book entitled: Drawings as Data in Science Education.